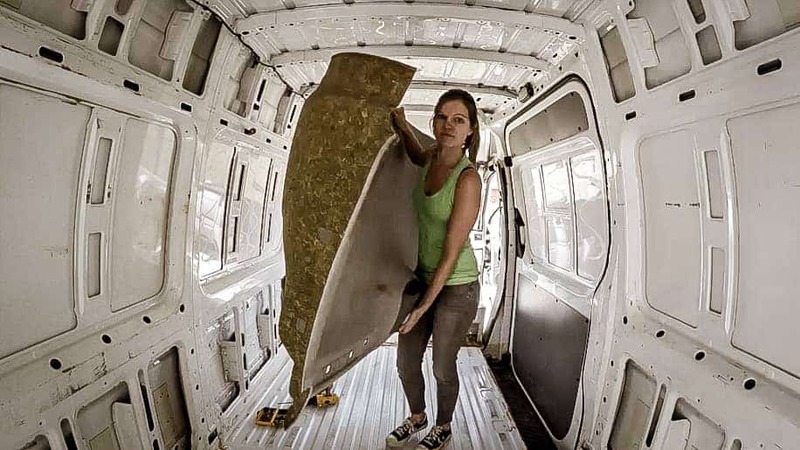 Our basic goal was to strip everything down to the metal on the van so that we could begin cleaning, insulating, and building. Headliners needed to come down! Was it difficult to remove the headliner? 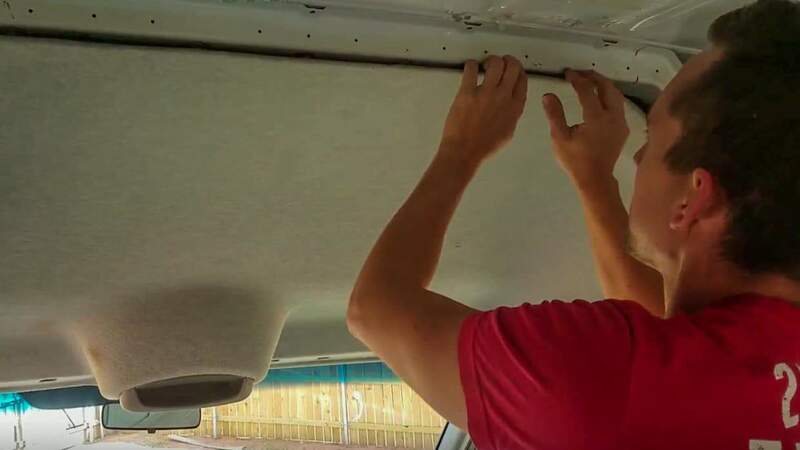 After we figured out where all of the clips and bolts were, it wasn't difficult to remove the headliner from the Sprinter. Just be gentle (ish) so you don't break the clips! 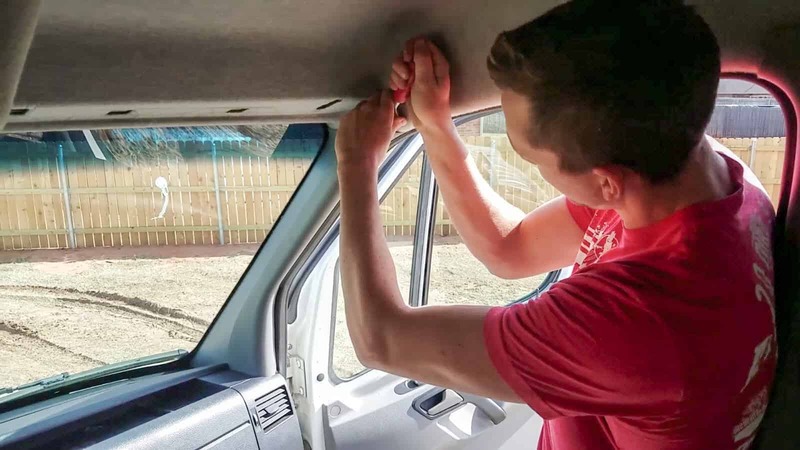 Removing the visors: The visors and grab bars are attached through the headliner to the Sprinter with torx head bolts. Those will be the first things to remove and are pretty simple. 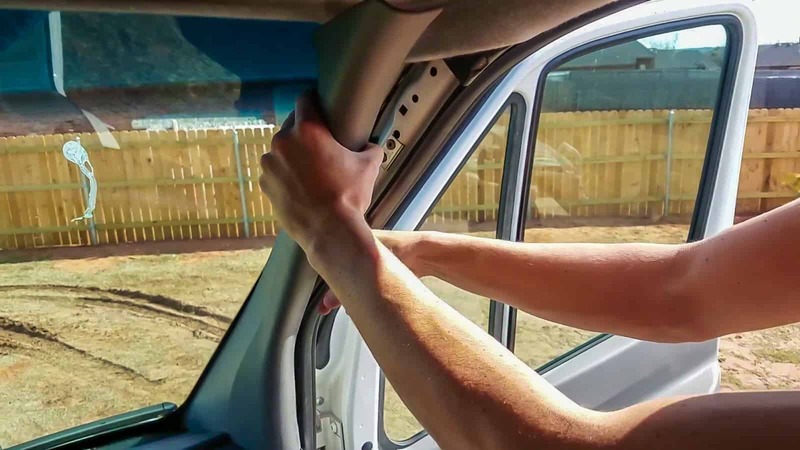 You'll completely take off the grab bars and the visors. Remove the A-Frame Pillars: The a-frame pillars are held in with upholstery clips and can be pried out as well. It would probably be best to use an upholstery clip remover, but we just used a chisel. They came out with just a bit of muscle and we didn't break any clips. Snap out the upholstery clips: Using a bit of muscle (but not too much! ), pull the upholstery clips out of the edges of the headliner. Be gentle, but if you do break the clips, they are inexpensive to replace. 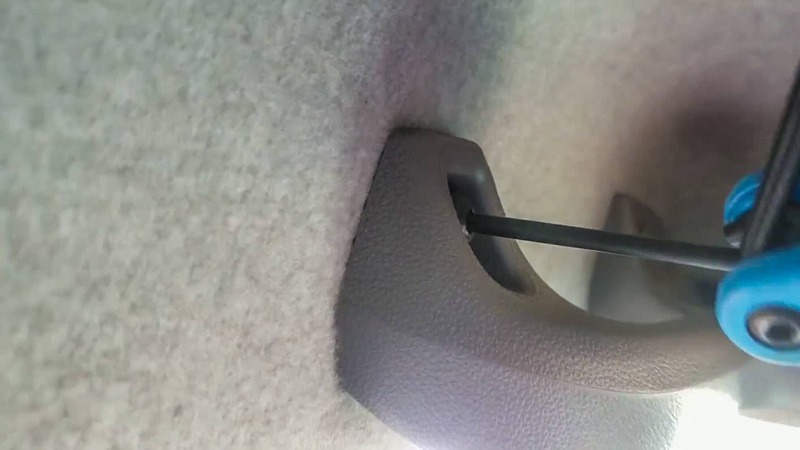 Disconnect the cab light and take out the headliner: There is just a cable attached to the overhead light on the headliner and that just unclips. Easy! Once that's out, you can completely remove the headliner.